White Rose Forest plans are in place even if the trees aren’t yet but the plans are inspirational. In fact it will be many years before the plans are complete but by then there will be a continuous belt of trees across the county. The Woodlands Trust has received a welcome boost to membership and participation as a result of the publicity. Plans to plant 50 million trees to create a “Northern Forest” include new woodland in and around Leeds and other major urban centres. Planting is planned over the next 25 years, beginning in March, across a 120-mile stretch of the M62 corridor between Liverpool and Hull. Its aim is to boost habitat for wildlife including birds and bats, protect species such as red squirrels and provide more public access to woodlands. 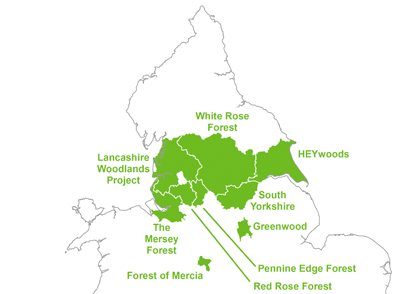 The Northern Forest will connect the North’s five Community Forests, including the Leeds White Rose Forest, the HEYwoods Project in Hull and South Yorkshire Community Forest. maps with thanks to Community Forest Trust charity no 1072706. The community charity trust is an environmental charity passionate about community forests and the power of trees to transform places and strengthen and enhance communities. 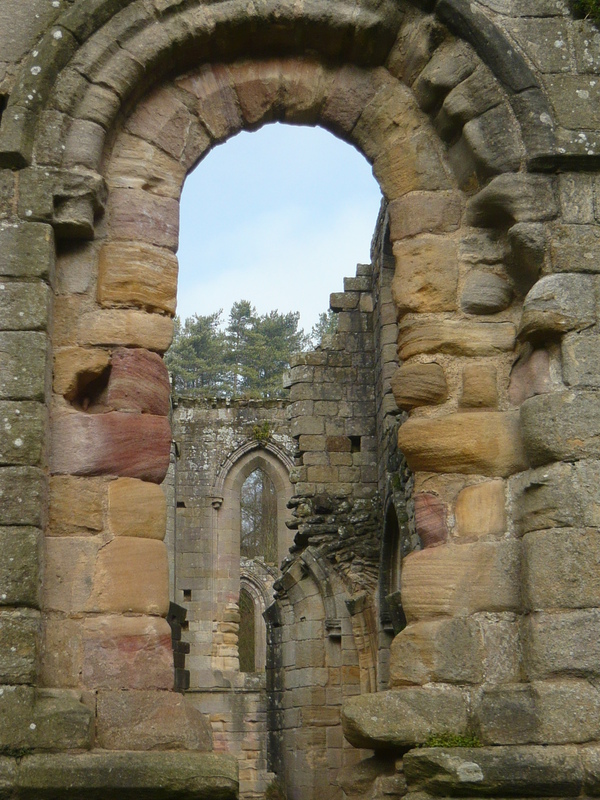 The oldest living trees in Yorkshire may be the ancient yews at Fountains Abbey. The new forest will contain native species not more foreign firs! Oak, birch and beech will figure strongly. The Wych Elm in Bainbridge is a survivor of Dutch elm disease it stands as one of only two elms that has grown to a girth of over 13 feet recorded in the county. Yorkshire is proving to be a real treasure chest for tree hunters with magnificent trees ‘If I could spend a month tree hunting, Yorkshire would be my county of choice. Magnificent trees are coming out of the landscape all the time’ said David Alderman, Registrar of the Tree Register who is leading a hunt for old fat trees or Champion Trees. Thorp Perrow aboretum near Bedale is the holder of five National Plant Collections including Ash, Lime, Walnut, Cotinus (smoke bush) and Laburnum. Not all forest trees but worth a visit. In York the Museum Gardens are home to six county Champion Trees including Alder and Hornbeam. The Yorkshire Arboreturm is a large garden of trees on the Castle Howard estate maintained in partnership with Kew. Skipton is Anglo Saxon for Sheep Town. 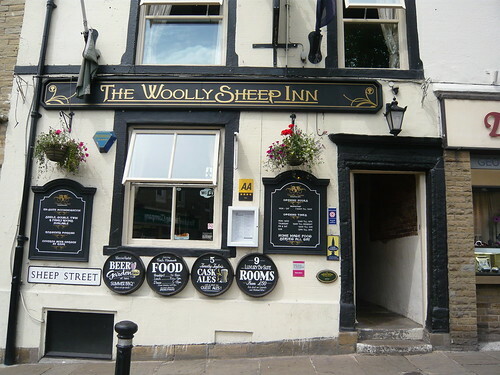 There is still a Sheep Street and an aptly named pub on it called The Wooly Sheep Inn. Full sized, ornamental, painted sheep are used to promote events around the town. Sheep day is held on the last Sunday in July. The castle was a Royalist stronghold until falling to Oliver Cromwell in 1645. It and the Clifford family took an active part in the War of the Roses. 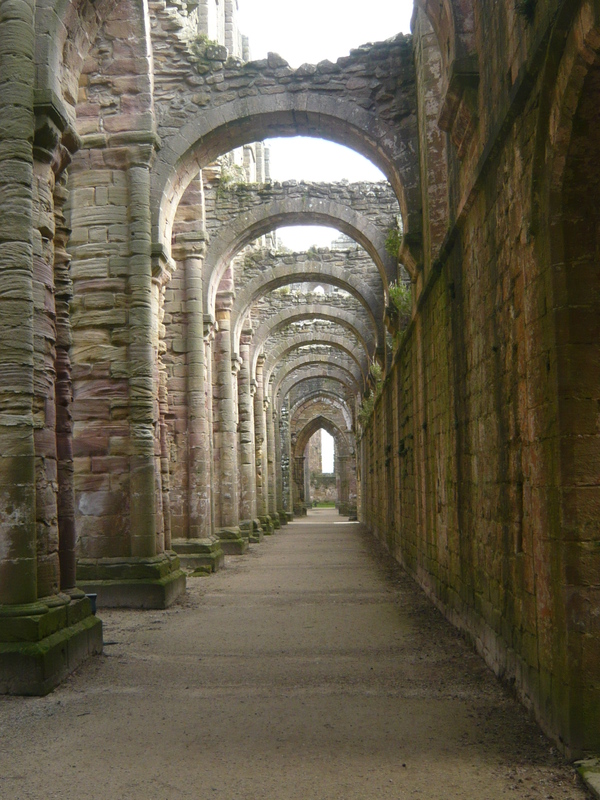 The complexity of the construction at Fountains Abbey makes you consider what might have been without the dissolution in the 16th century. Arch way lead to arch and yet another arch! 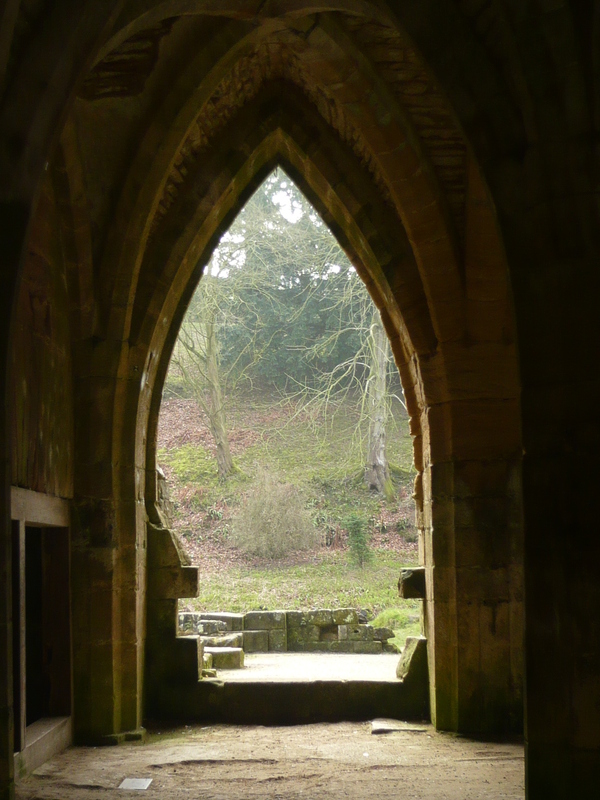 The moss and ferns give atmosphere to the steps many monks would have taken out of the main abbey hall. March has not yet awakened the leaves on the branches. Spring would be an exciting time for the monks and shepherds who would have been hoping for a good crop of lambs for future wool production. 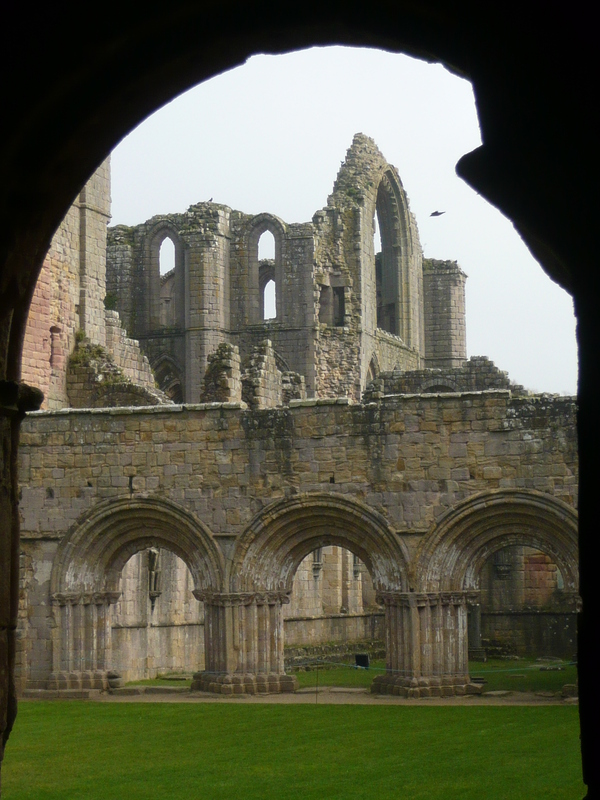 Wool and sheep were the source of most of the abbey’s wealth. 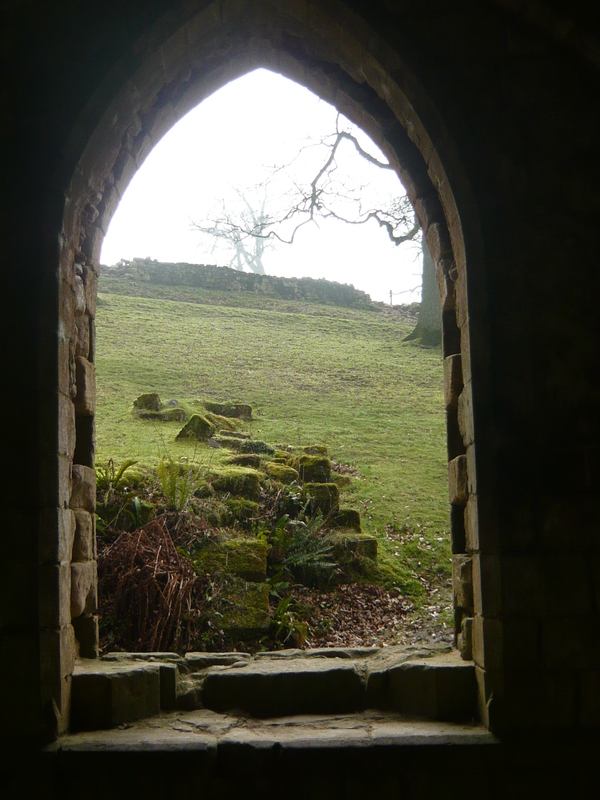 This view was too stimulating to ignore even though it of arches and buttresses rather than just arch windows. Baa Baa Brighouse has teamed up with a number of Yorkshire based indie dyers to bring you the Yan Tan Tethera Yarn Club. They produce specialty yarns, that have been reared, sheared, spun or dyed in ‘God’s Own County’ (as easy as one two three). The big nits of Sirdar, Rowan and Wendy brands are still based in Yorkshire along with many other smaller yarn producers. The Holmfirth based Knitting and Crochet Guild is a national educational charity dedicated to UK domestic knitting celebrating it’s 40th Anniversary in 2018. In 1996, the national Knitting and Crochet Guild formed a Dales branch called the Airedale and Wharfedale KCG. The knitting reference library based at Southampton University’s earliest published work is dated 1840. The journals include a run of Girls Own Annual dating from 1881 collected then donated by Montse Stanley. 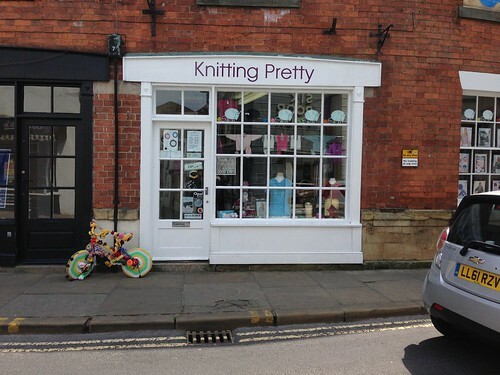 Knit and Natter goups abound in Yorkshire. Age UK organise them in Scarborough and Malton to swap patterns and ideas, catch up on gossip and have a good laugh. Other groups include Dringhouses library York, Miss Butterfinger’s Tea Room on The Green in Idle village, from 2.00pm on the first Thursday each month, Montgom needlers Montgomery Hall, Wath upon Dearne, Rotherham every Thursday 10am-12pm and Commuknity Knit and Natter Yew Tree Inn Malin Bridge Sheffield. The Good, the Bad, and the Ugly to say nothing of the downright diabolical! Do we care about the environment where we live, work and spend our recreation time? Following condemnation from theEnvironment Agency (EA) in the 2016 study produced this month that ‘nearly 90% of rivers fail to meet environmental quality standards’ now is the time to consider the state of Yorkshires great rivers. In October 2017 the WWF produced results of a nine-month investigation on the state of UK rivers that reveals 40% of all our rivers in England and Wales were polluted with raw sewage. This is caused by discharge from outdated sewage treatment plants and sewer overflows during extreme rainfall. Too little public information or concern has led to water companies and government not taking enough preventative action. Fuel and power production and contaminated land. The farming industry needs more effort to ensure agricultural leaks of slurry, illegal dumping and fertiliser abuse are reduced or better still prevented all together. Polluted rivers can also be caused by run off from roads, urban area dross and land that has been intensively fertilised transfers nitrates and phosphorous into our rivers. Us, the great Yorkshire public are sometimes guilty of disposing of garbage or litter directly into rivers even indiscriminate feeding of ducks or pets. Pouring items down a drain, sink or toilet can end up in a river. Take care with medications or drugs that should be returned to the chemist for safe disposal. 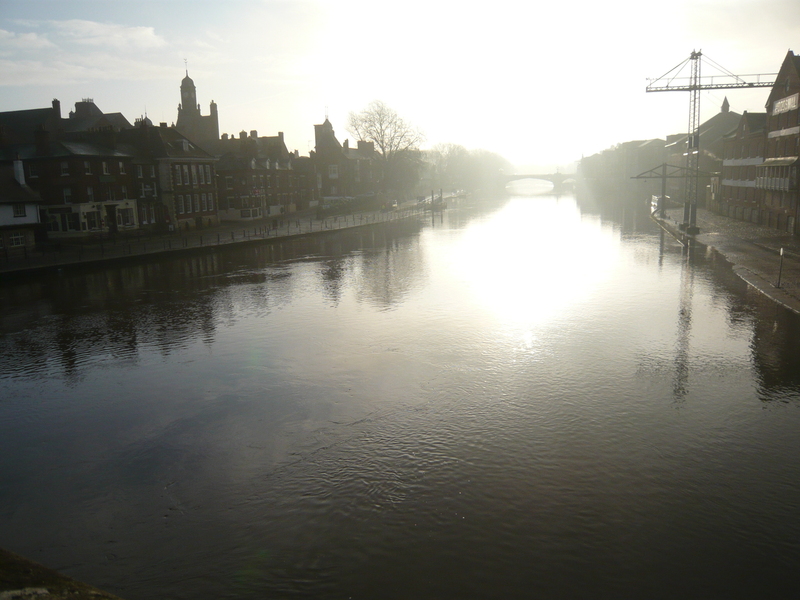 Over the last two years Yorkshire Water has been fined £1.45 million for illegally discharging sewage that polluted the River Ouse near York and Rud Beck and the River Crimple in Harrogate. According to the Yorkshire Dales Rivers Trust the Swale, Ure, Nidd, Upper Ouse, Wharfe and Lower Ouse catchment have a legacy of metal mining that accounts for 2% of the reasons waters fail to meet quality standards. Rivers of blood(y) plastic have hit the headlines recently. Some river banks have plastic detritus that looks gross and is doing damage to the water in rivers and seas. 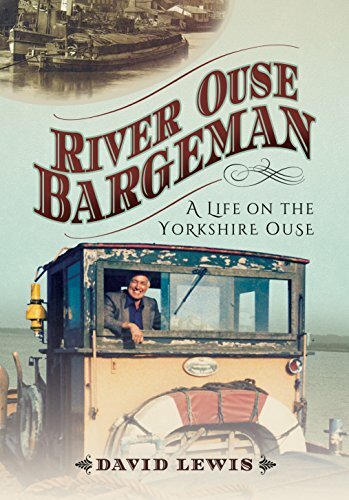 Talking of industrial revolutions ‘Laurie Dews of Selby worked the Ouse from 1937 to 1987, and is now the only man remaining with first-hand experience of a lost way of life.’ Whilst not focused on pollution but the life of a Yorkshire river bargeman this interesting book harks back to simpler times and a less disposable society. 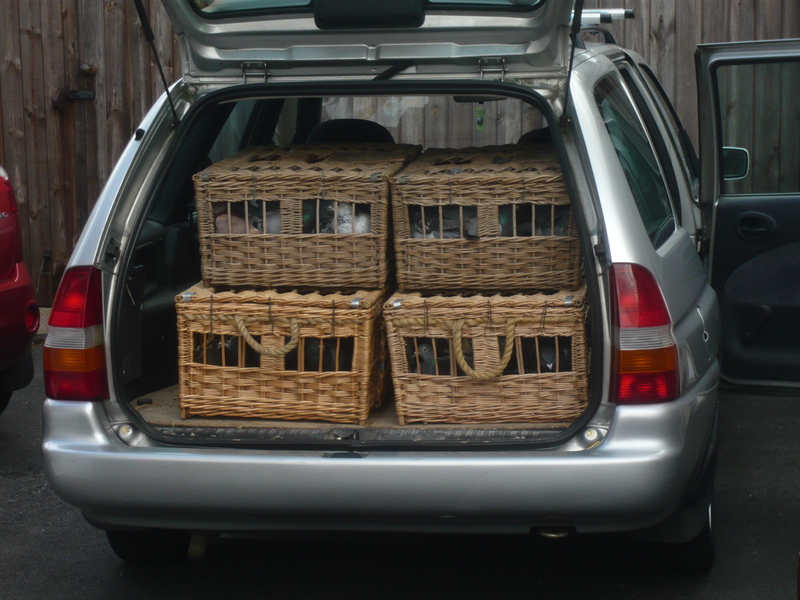 A racing pigeon needs a carrier and a carrier pigeon needs a boy racer in a silver car to help transport them. There are over 300 species of pigeon and dove or columbines as they are collectively grouped. 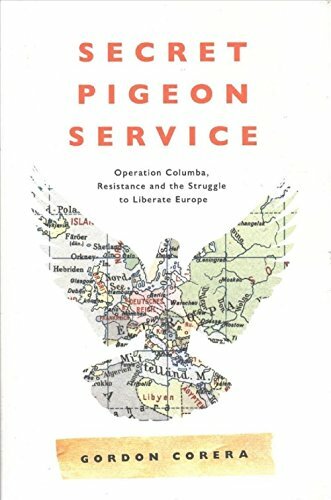 Columba livia domestica or homing pigeon is a variety of pigeon related to the rock pigeon. These racing or homing pigeons can live for upwards of twenty years. 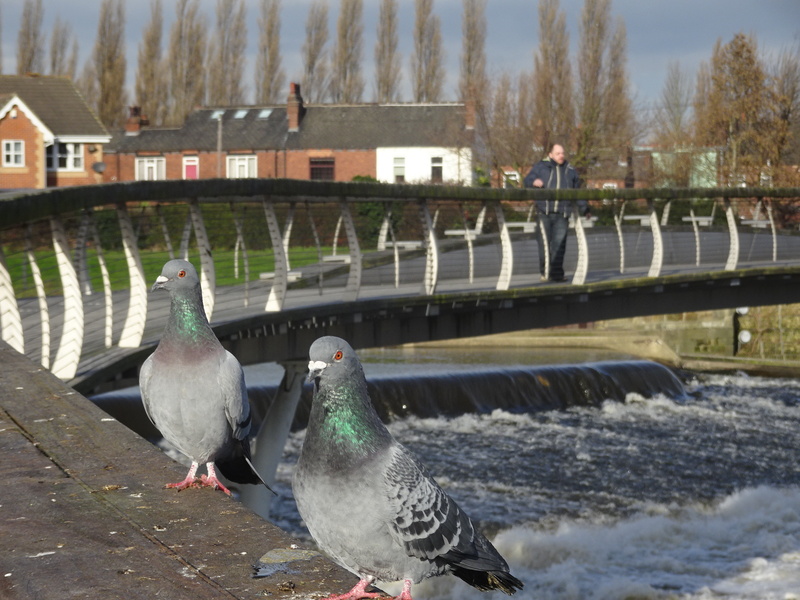 Wild or feral pigeons, like the ones you see in town centres are often and derogatorily termed flying rats. They scavenge food, create a mess and have a shortish life-span of three to four years. 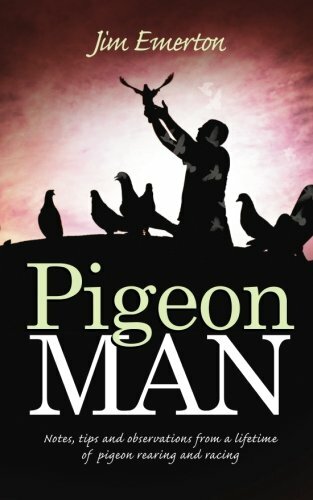 D K Higgins is the Rawdon based official for The Royal Pigeon Racing Association in the North East region including North Yorkshire, West Yorkshire, East Riding of Yorkshire and North Lincolnshire. It is a wider sport than you may first imagine. Following a family tradition started by Edward VII and King George V, HM The Queen is actively interested in pigeons and is patron of a number of racing societies most notably the Royal Pigeon Racing Association and the National Flying Club. 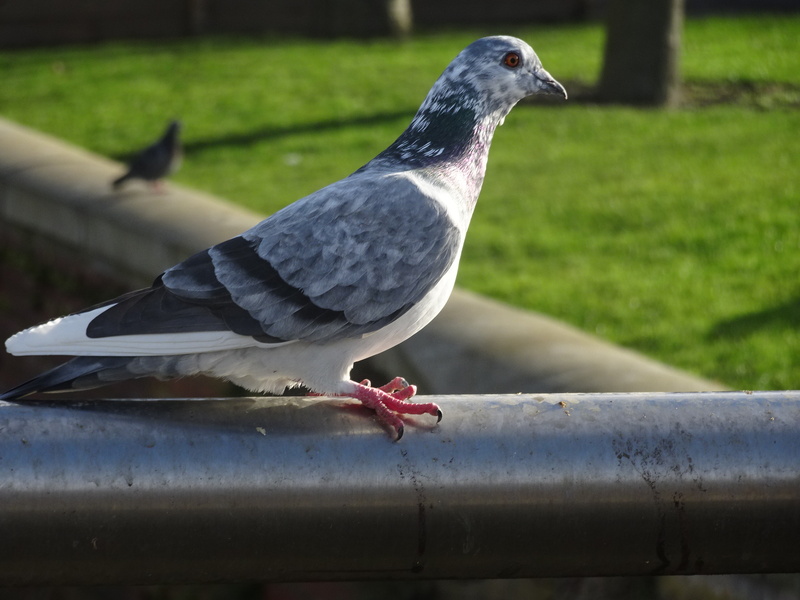 An injured pigeon nicknamed The Banker still attracted a Chinese buyer to pay a British record of £16,000 as breeding stock. The world record is closer to £260,000 paid for a Belgian bird. In Leeds early enthusiasts gathered at the White Swan during March 1896 forming the National Homing Union (now the Royal Pigeon Racing Association) the regulatory body for the sport. Premier Racing Pigeon and Breeding Stud east of Hull (can you get east of Hull?) 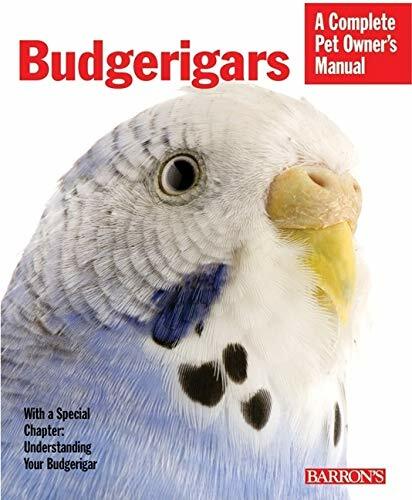 has numerous lofts that hold more than 2,000 birds. 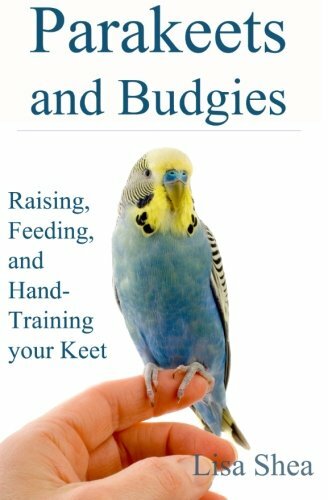 Jim Emerton has authored several books since racing his first pigeons in York. In his early days he had rollers, fantails priests and various fancy breeds and crosses but notably developed his own strain called not surprisingly ‘Emertons’. One of Jim’s bird reportedly returned home from 879 miles away. 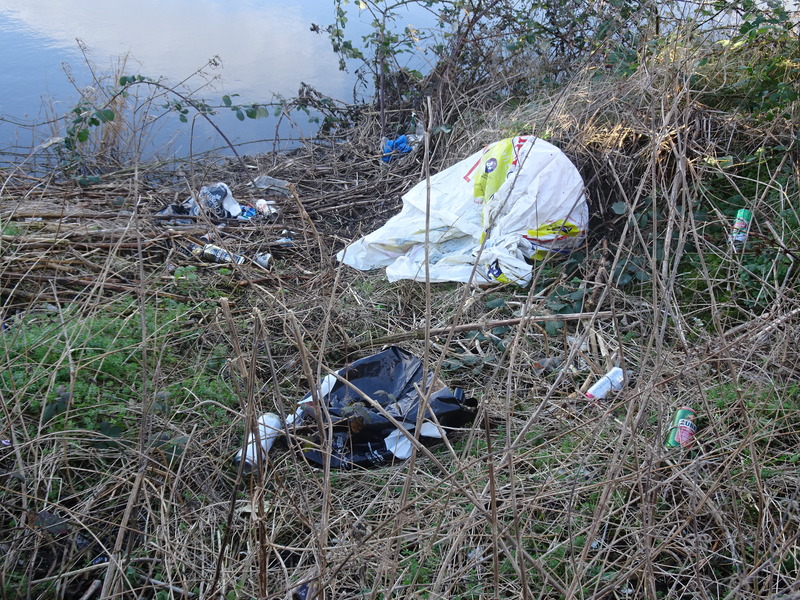 On the banks of the river at Castleford is a deluge of plastic and other litter waiting to be washed down stream to the sea. It may take some time waiting for the next storm and high flood but this sort of mess near the centre of town will surely drift to the sea. I wont go on in this report as it is about Castleford and I have covered several environmental issues recently. Celebrate instead the 132-yard long S-shaped footbridge that was opened almost 10 years ago (how time and pigeons fly). Held to be a ‘really beautiful piece of architecture … there is a sense of real excitement and movement when you walk across the decks’. (Aliah Syed). After a recent cup of tea in the old Queens mill I asked if a new bridge was near by? The waitress summed it up, ‘there is a bridge but it don’t take you anywhere fancy’. Never the less as a newcomer to the town I thought it looked fancy enough for the start of a regeneration of this very very old area. 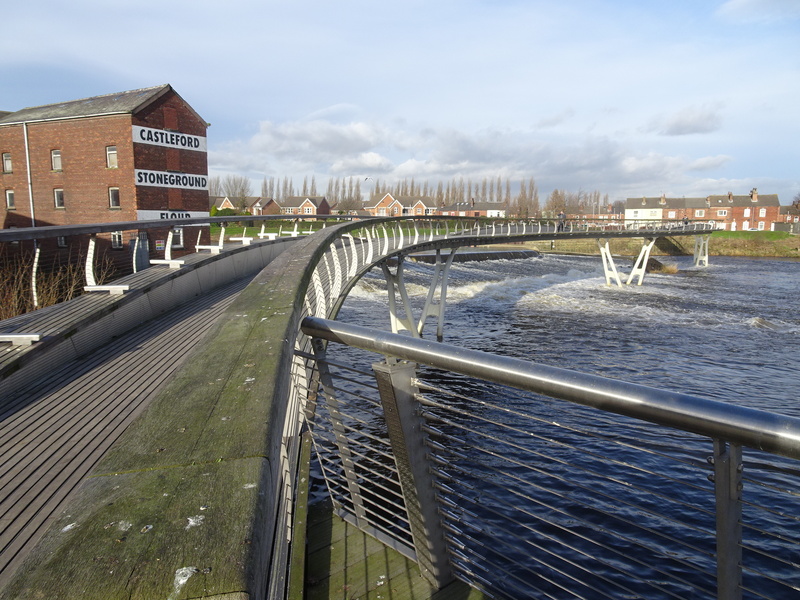 Predominantly a leisure facility the Aire Calder Navigation around Castleford allows large loads of goods to be carried from the Humber ports. With the redeveloped waterfront area in Leeds it joins the Leeds Liverpool canal effectively running right across the county and country. It is also a popular leisure facility for boats, walkers, fishermen and cyclists. The Navigation connects Wakefield, to reach the Huddersfield and Rochdale Canals. The Selby Canal connection boats to the Ouse, from where they can travel upstream to reach York, Boroughbridge and Ripon, or downstream to the River Derwent. Beyond Goole are the Humber and hence Hull, Immingham, and the North Sea. 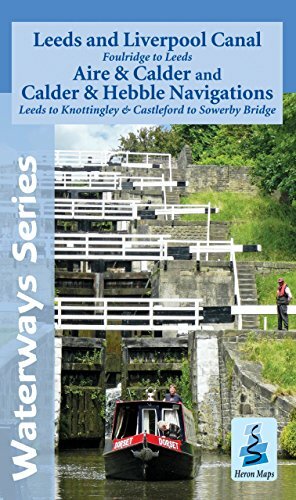 The Sheffield & South Yorkshire Navigation with the Don Navigation forms a links with Doncaster, Rotherham and Sheffield to the south. So in one sense Castleford is justifyably at the center of Yorkshire. Like Terrys at York, Castleford has a claim to be a provider of Yorkshire top chocolate treats. After Eight Mints were manufactured in Castleford from 1970 at a local Rowntrees factory until Nestles took over then closed it down. Around Castleford sweets and candies are called Spice and liquorice is known as Spanish. Bellamy’s Chocolate covered Liquorice Allsorts were a local product and you can guess where Pontefract cakes come from. Haribo, produced theirfirst golden bear in 1960 and now has a new sweet factory in Castleford. The company also bought the owner of Pontefract Cakes and employs over 500 in Yorkshire. Allisons stone ground wholegrain flower was milled in Castleford as one of 3 sites suppling bread makers since the 19th century. The book above did not include Papa’s fish and chips where I should have ordered the pensioners deal in this Castleford chippy. 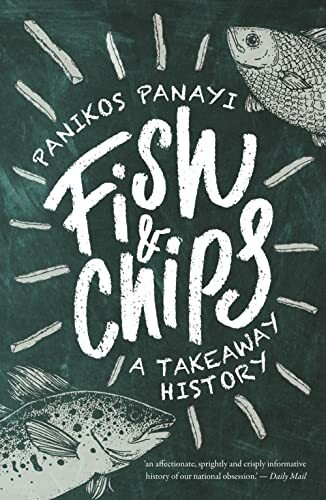 They also own the world’s largest fish and chip shop in Willerby and others in Hull and Cleethorpes and in 2017 won a BBC contest The Best of British Takeaways. The station has a couple of confusing subway or tunnels to reach the southern side where the old platform is grassed over. Arriving by train from Leeds I expected the return journey to retrace my steps (or rails). On jumping on the train I was surprised and a little disconcerted when it went backward towards Sheffield again only to swing around in a loop to get back to Leeds. Local celebrities include Henry Moore (1898-1986) the sculptor born in the town and Viv Nicholson (1936 – 2015) of Spend, Spend, Spend and football pools fame. 15,000 years ago nomad tribes used the Aire valley as an east- west crossing and a limestone ridge to move north south. As farming developed and the bronze age developed Henges like the ferrybridge henge were developed as settlements. In Roman time Castleford was called Lagentium. Local entertainment can be found at Digger Land the JCB themed attraction, Snozone, Xscape and nature reserve Fairburn Ings. 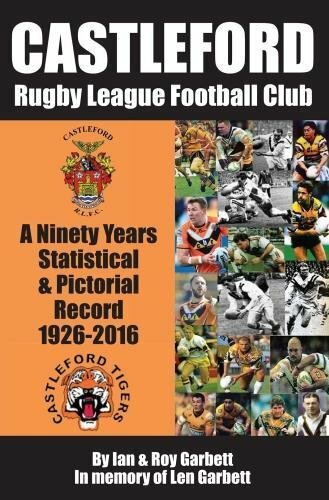 John Joyner is a Tigers Hall Of Fame Inductee played over 600 games for Castleford and once scored 5 tries in one match in 1973. Weldon Road or The Jungle’ has been the home ground since 1926. A new retail park and stadium called Five Towns retail park will become the new stadium in 2020. Daryl Powell has been head coach since 2013 with and Danny Orr and Ryan Sheridan as assistants. Train companies do not need an excuses for late running trains but nevertheless here is a new one. Not the one about all staff are too busy clearing the rubbish dumped by passengers but ‘the wrong sort of plastic on the line’. 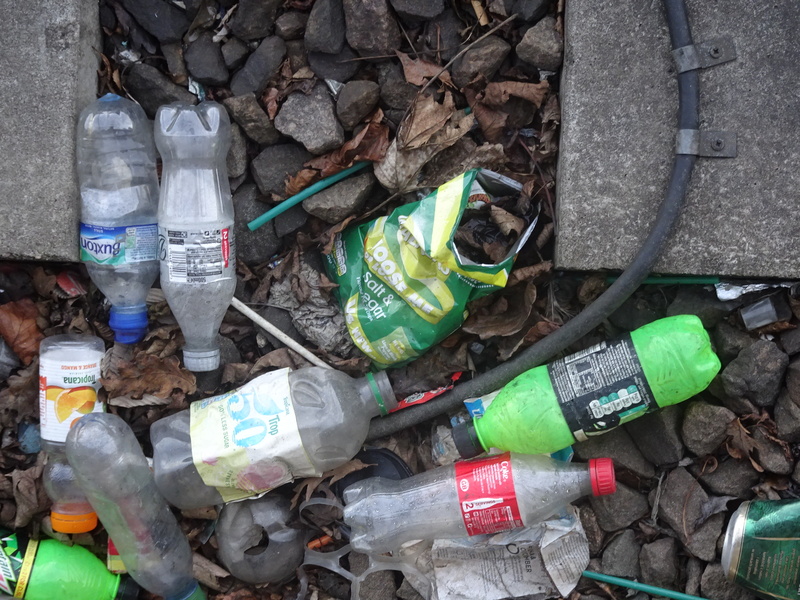 Let’s have a straw poll about litter in the form of tubes of plastic used and discarded in their billions. 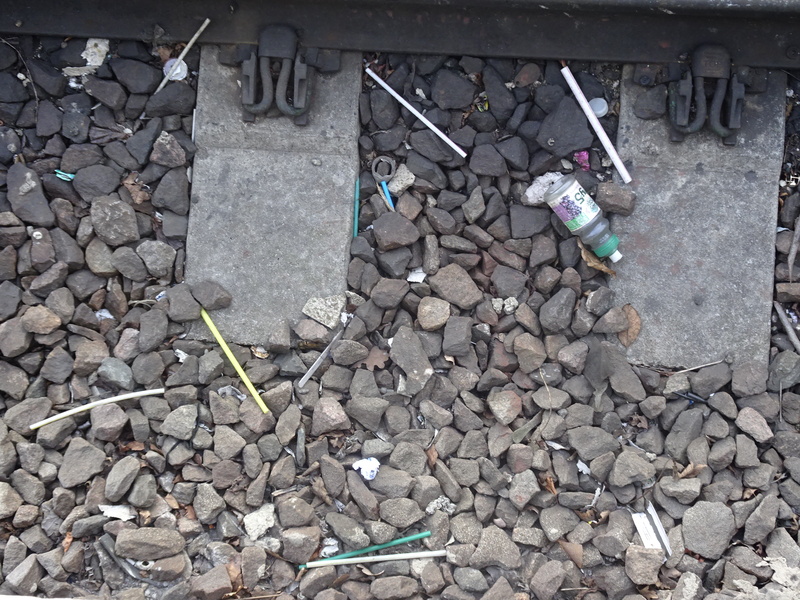 Leeds railway station is going to be in for some stick over this poll and post where consumers choose to leave plastic straws behind. Why do drink retailers reach for the plastic when sustainable materials like waxed paper as formerly used in school milk (remember that.) New trendy straw devices include biodegradable bamboo, reusable metal, bioplastics or glass drinking vessels with modified spouts. Better still why not stop being a sucker! Tip your drink into your mouth or Gizza Swig . The last straw is further plastic annoyance coming on top of a series of pollution difficulties in rivers, seas and general environment that is making the situation intolerable . Now as a straw in the wind a small sign that hints of something about to happen but that may only be the naming of a new train ‘The Strawman’. This would be an intentional misrepresentation supported by plastic straw manufacturers. Thomas the tank engine is going environmentally friendly and the Fat Controller will be renamed the Fat Strawman a person having no substance or integrity. His favourite film ‘Strawless in Seattle’ and worst song ‘Stawburried in Fields For Ever’. Enough of Straw (bales and bales of it) it is but a small part of the bigger plastics problem. Leeds Railway Station again!. Platform 17b on the 30th January 2018. The volume is too great to be casual littering. Nor are they the type of drink vessels that generally come from licensed premises. I was lucky not to spot 10 green bottles hanging on the line (but counting cans I am not so sure). 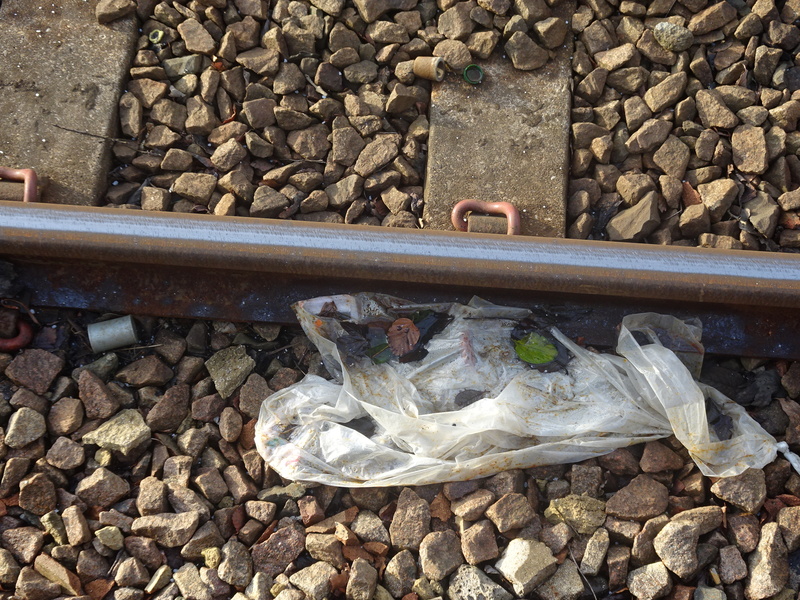 The plastic wrapper or bag was deposited at Menston a small urban station on the Wharfedale line. 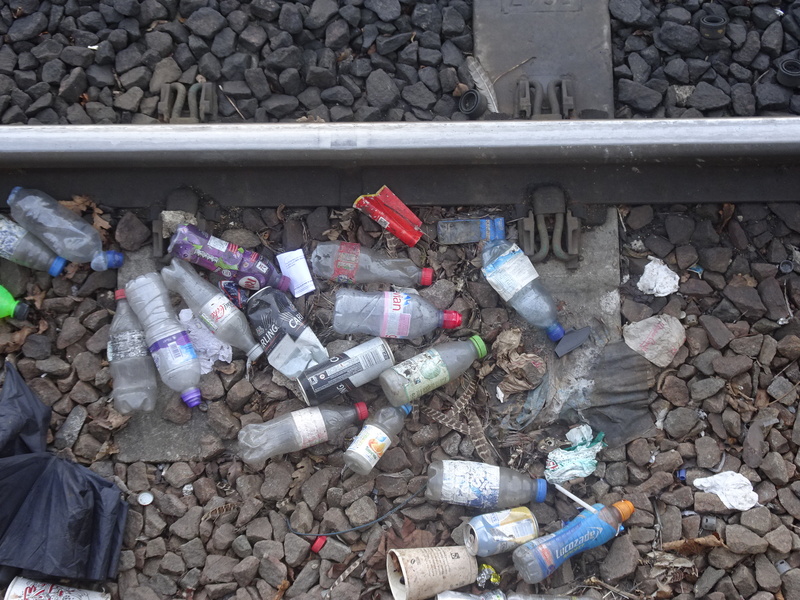 There was other detritus laying about and it was possible to believe a large piece of plastic caught on the lines or power cables could lead to “Eleven minutes late, signal failure at Northern Rail.” ( with apologies to Reginald Perrin). I couldn’t get good pictures of the fly tipping on various embankments on the journey between the two train stations. In parts it was gross and dangerous and down to unthinking idiots who threw stuff over a wall or fence creating a threat to trains on the line. (more when I have evidence). Doncaster was firmly ahead for noisy neighbourhoods with 6,231 complaints in a year just over 20 complaints per 1,000 head. Leeds came second with 12,295 complaints equivalent of 16 complaints per 1,000 population. Third was Rotherham with 2,551 complaints or just under 10 complaints per 1,000. Rural areas didn’t escape completely. Rydale saw 177 complainants within a population of just over 52,000 (so 3 complaints per 1,000) and Richmond had 195 complaints within its population of 53,900 (4 complaints per 1,000). Church bells are to win protection under new planning rules to stop people who move into towns and villages forcing councils to silence them. Nimbys loose out Churches have repeatedly had to comply with noise abatement orders to silence church bells after complaints from often only a handful of homeowners despite the fact that they have tolled for decades. 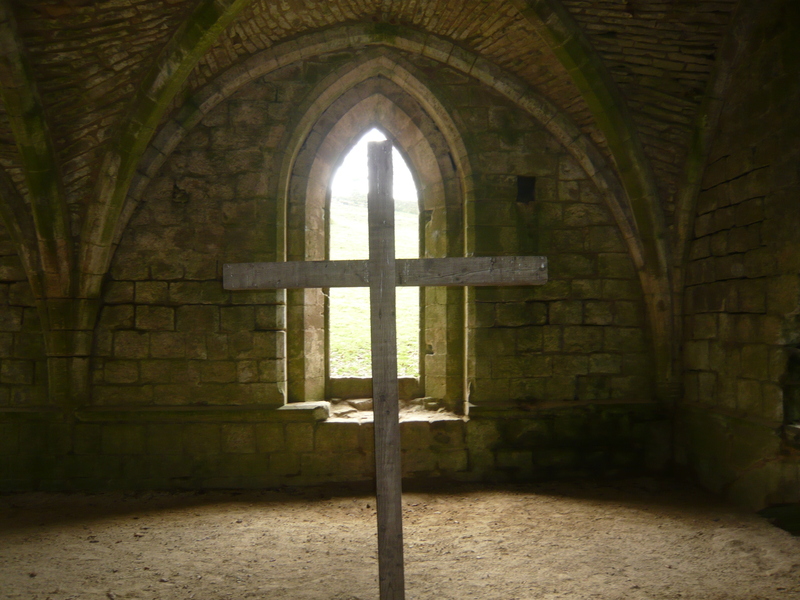 However, ministers have now decided that churches should not have “unreasonable restrictions put on them because of changes in nearby land uses since they were established” because new homes are built near them. 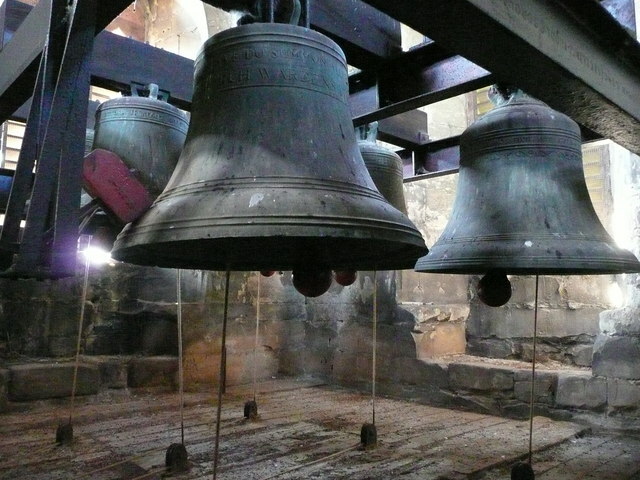 Even though their bells have chimed for centuries, churches across the country have been slapped with night-time noise abatement orders after complaints from just a handful of neighbours. 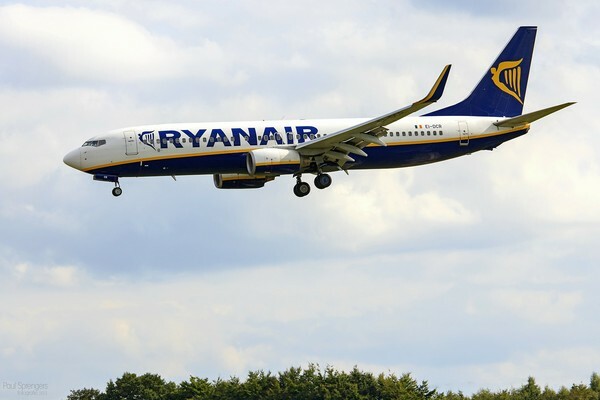 Traffic and airport noise are more subject to planning restrictions as a means of preemptive enforcement. Nimbys are restricted in what complaints they can successfully pursue. Noise accounts for most of the complaints that local councils and the Environment Agency receive about environmental pollution. The police can deal with a complaint if the noise amounts to a breach of the peace, or where it is associated with threatening, violent or other anti-social behaviour. Noise nuisance laws do not apply to noise from traffic or planes, demonstrations about a cause or premises occupied by the armed forces. Councils are responsible for looking into complaints about noise from premises and gardens such as alarms, loud music or barking dogs etc. Councils are also responsible for noisy vehicles, construction work, machinery or equipment in the street (for example, music from car stereos). In 2017 the noise abatement society awards highly commended Kirklees Council’s Environmental Health team for work with Planning Enforcement and Development Control colleagues. Noise complaints from housing estates developed in close proximity to industrial premises are problematic but overhauled planning application conditions were designed to help. In the previous year Sheffield City Council’s night noise service became untenable. A new ‘Night Time Enforcement Team’ for complaints outside the normal remit of the Environmental Protection Act was established to provide a ‘One stop shop’ dealing with issues affecting the wider community during the night time. What individuals consider to be noise is unwanted or unpleasant sounds that are mood altering, or at an uncomfortable level due to duration, volume of sound or time of day. Noise can damage hearing, disrupts sleep, annoys in everyday life. The wrong noise interferes with concentration, conversation, relaxation, work and leisure. Excessive noise at work can give suffers deafness, ringing in the ears or other ear conditions.